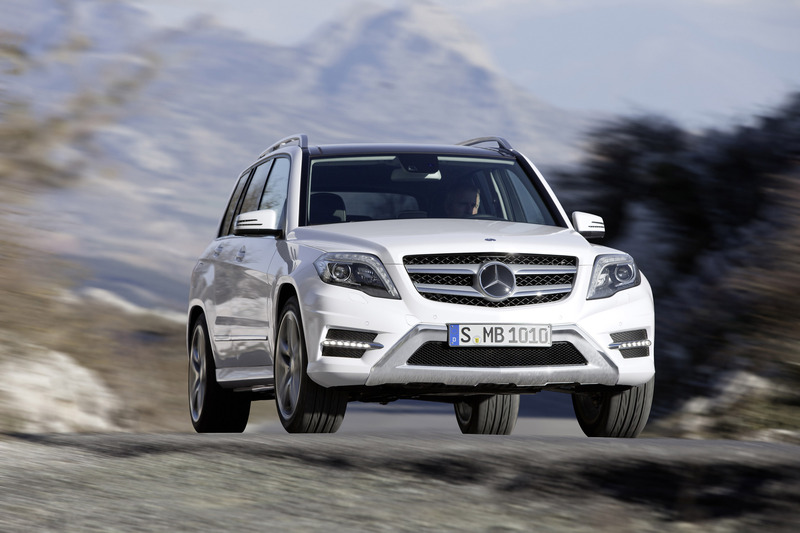 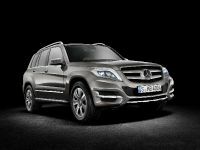 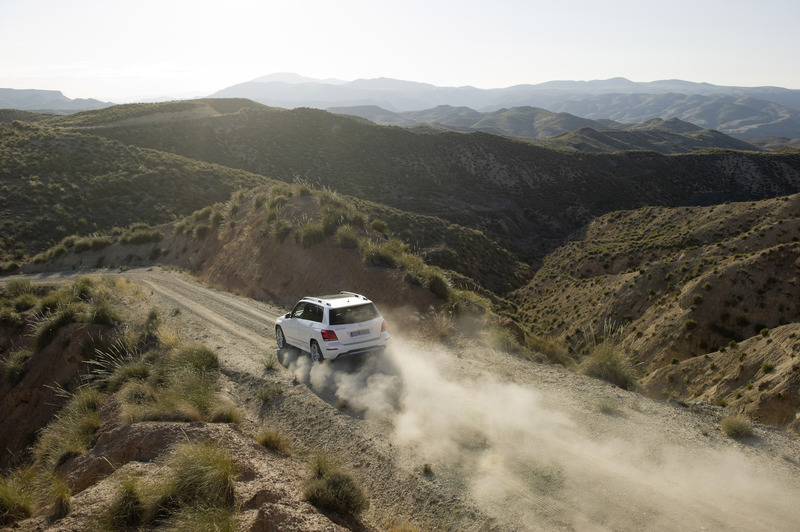 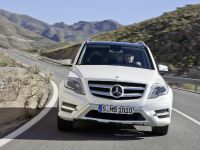 The new 2012 Mercedes-Benz GLK will offer excelent driving dynamics to all its customers. 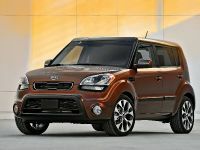 In addition to that is its outstanding driving safety and ride comfort. 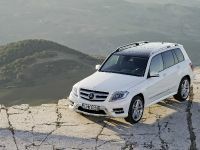 What is visible at first sight is the new design interpretation that the SUV got. 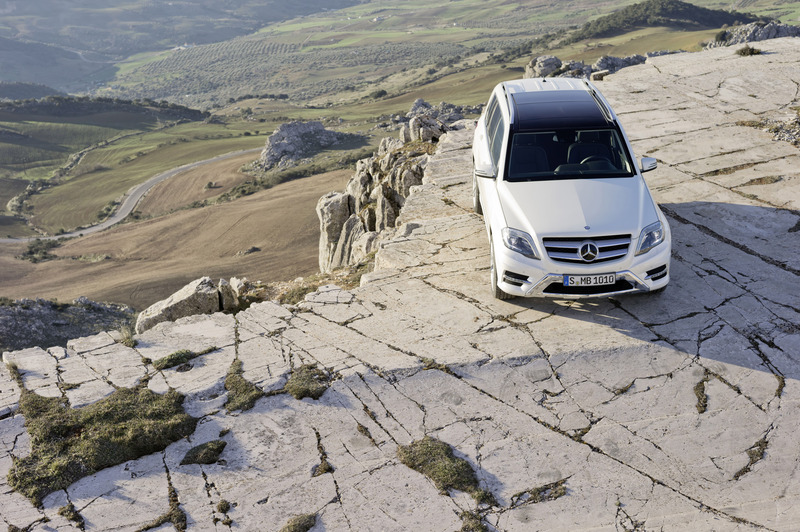 The body combines classic elements of all-terrain vehicles: stringent lines, expansive surfaces and the smooth-surfaced, volume-emphasizing front and rear areas harmonise with the hallmark GLK body features. 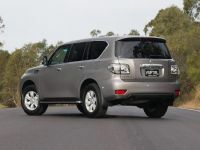 The functional exterior features also include: short overhangs, the upright front end, slender roof pillars, a steep windscreen and taut roof line. 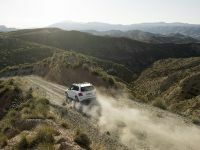 The neatly designed body and the good all-round visibility combined with the seat position improve suitability for everyday use, but also provide excitement in driving. 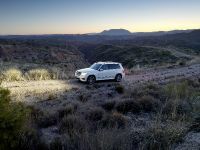 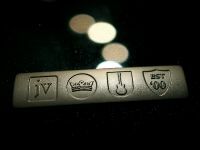 Furthermore, beneath the newly designed headlamps, all models offer LED daytime driving lights in a chrome clasp as standard. 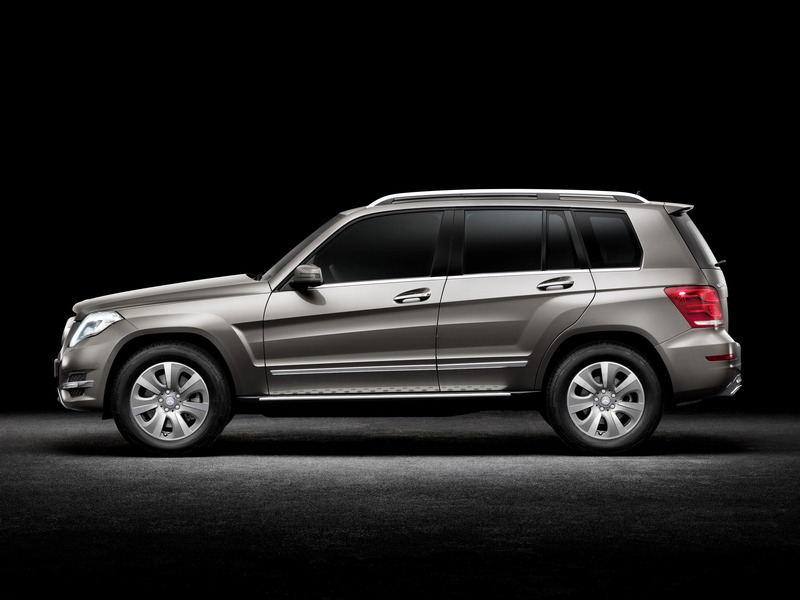 The radiator follows the design idiom of all current passenger car models. 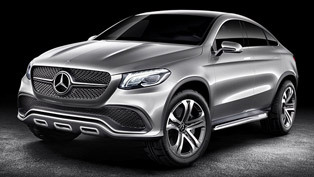 The basic model comes with reflection-type headlamps. 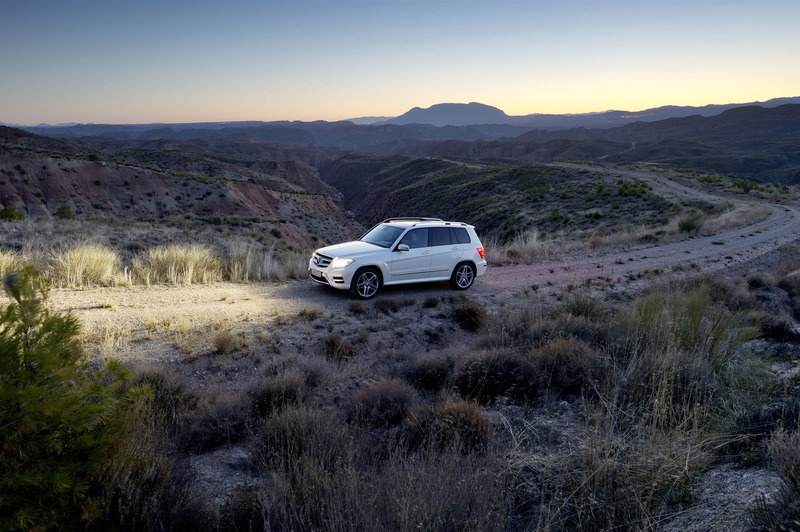 On models featuring the Intelligent Light System (ILS), the headlamp comprises the projection unit, a reflector and the torch with LED fibre-optic cables for the position light, above which the turn signal indicators consisting of individual LEDs are located. 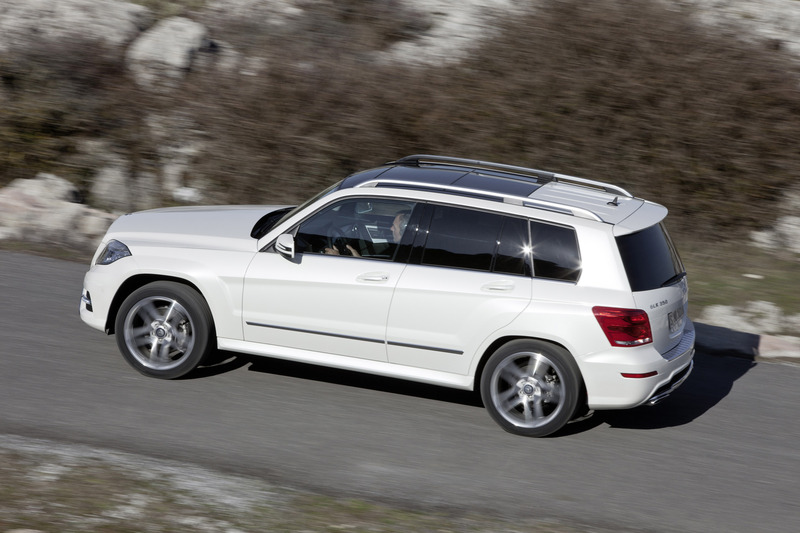 The roof rails in a totally new design are particularly striking in the side view. 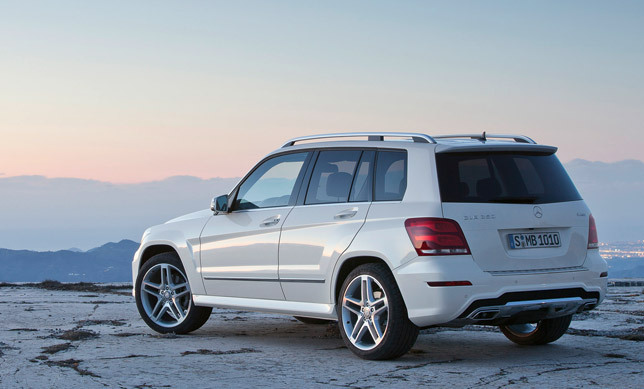 Next, the rear bumper gives sporty character to the GLK's rear. 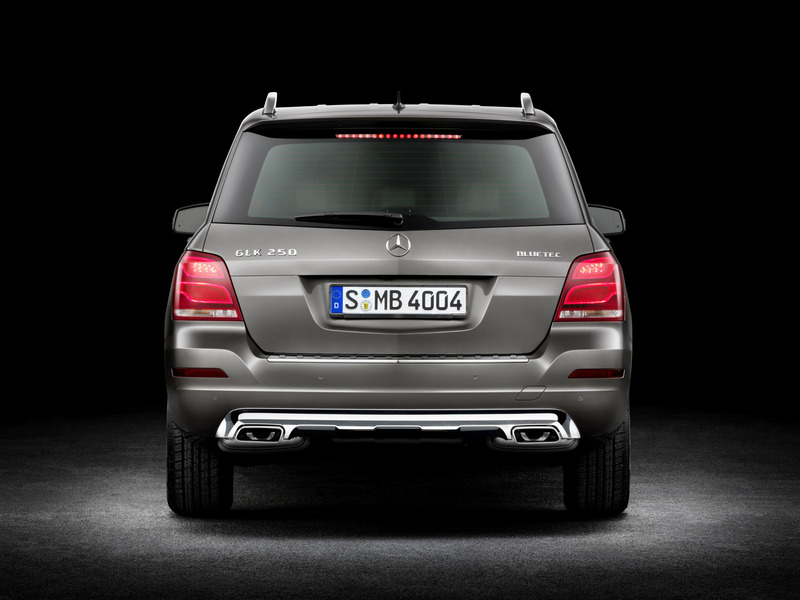 At the rear, the tail lights have undergone a complete transformation: fibre-optic cables and LEDs are also employed to provide the GLK's rear end with a unique and characteristic night design. 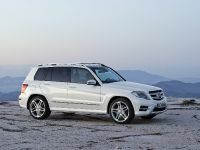 Next, what is new in the 2012 GLK are the newly developed wheels in size 43.2 cm (17-inch), 48.3 cm (19-inch) and 50.8 cm (20-inch), which are available in various paint finishes or with a high-sheen finish. 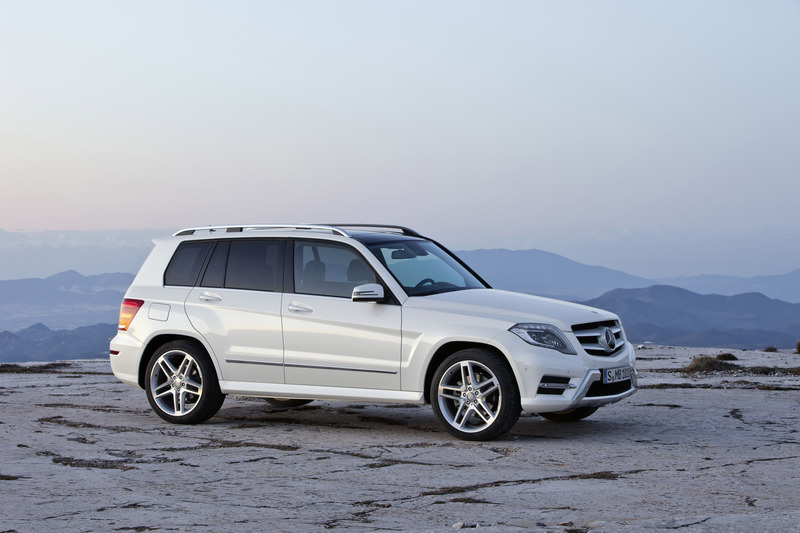 There is of course an AMG Sports package for the GLK featured. 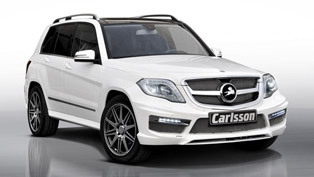 First an AMG Exterior Sports package is available and in details it includes: AMG front and rear apron, the specific radiator grille with two chrome slats, AMG LED daytime driving lights, 48.3 cm (19-inch) AMG 5-spoke light-alloy wheels and a sporty suspension setup. 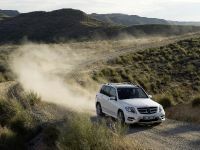 And what about the interior of the GLK interior? 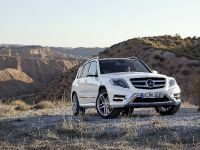 As you might conclude yourself, the newly designed GLK interior offers design, a quality feel and a choice of high-quality materials. 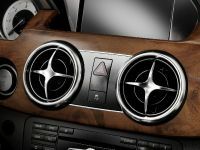 The designers had given a complete makeover of the dashboard: wide trim in aluminium or optionally in wood spans the entire width of the dashboard; the new round vents and additional trim elements in silver shadow are also included; a high-end colour display is optionally available for the instrument cluster; a three-spoke sports steering wheel, new upholstery colours and seat designs plus indirect ambient lighting featuring LED fibre-optic technology. The Interior Sports package which was available for the predecessor model has been also upgraded, with sports seats, three-spoke multifunction steering wheel in nappa leather, black sports seats in ARTICO man-made leather/DINAMICA microfibre with stitching in alpaca grey (alternatively real black leather upholstery), door centre panels in ARTICO man-made leather with diagonal stitching, shift lever in nappa leather with chrome surround and sports pedals in brushed stainless steel. 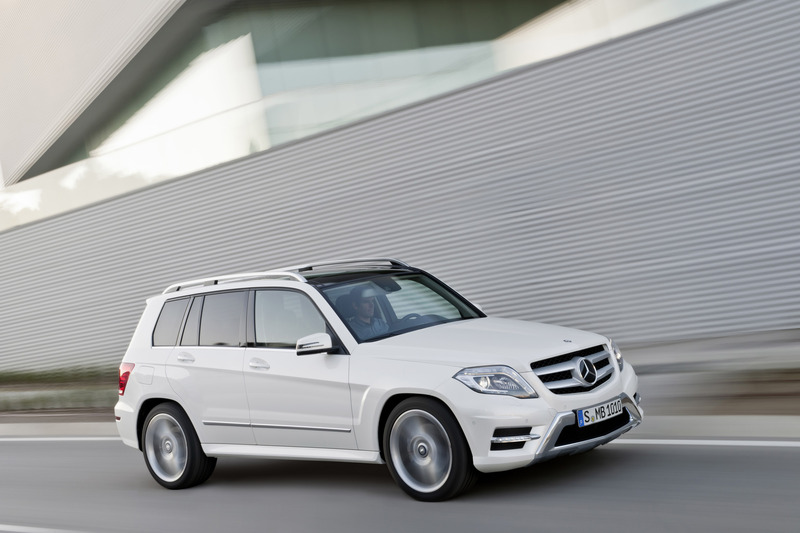 Furthermore, the 2012 Mercedes-Benz GLK is fitted with the Audi 20 CD radio as standard. 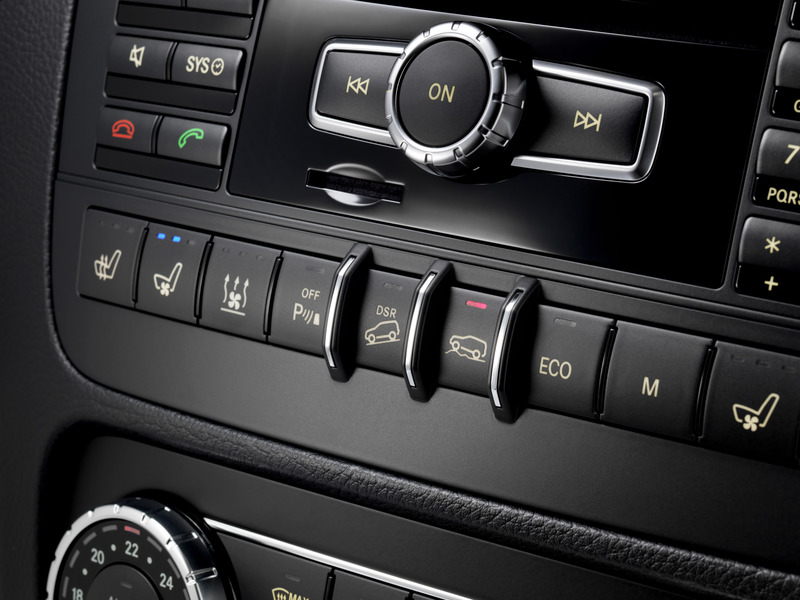 It has the following functions and tools: Twin tuner, TFT display with 14.7 cm (5.8") diagonal, mp3/wma/aac-compatible CD drive, USB interface incl; CD cover display, AUX-IN socket in the centre armrest, Bluetooth® interface with hands-free function and audio streaming for music transfer; telephone keypad. 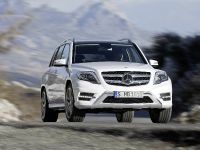 Further improvements in the GLK are possible thank to the assistance systems featured, which is similar to those from the S- and E-Class. 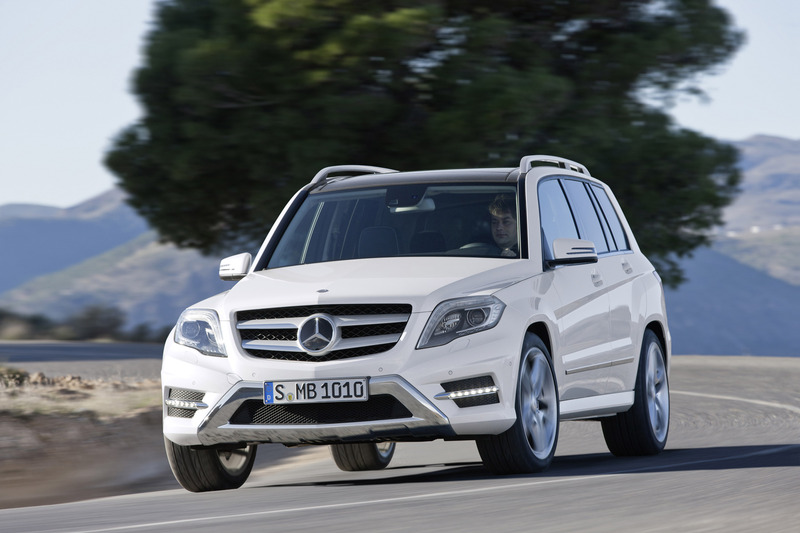 It works in terms of active safety and driver-fitness safety. 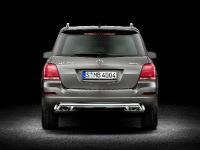 The optional equipment includes the ATTENTION ASSIST drowsiness detection system or the PRE‑SAFE® anticipatory safety system. 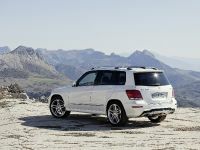 There are also additional assistance systems, including active variants, such as the Active Parking Assist, which enables fully automatic manoeuvring into and out of parking spaces. 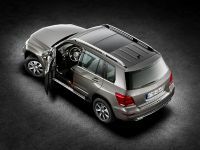 Other system packages are for instance Driving Assistance package Plus, which comprises DISTRONIC PLUS including BAS PLUS, PRE-SAFE® Brake, Active Lane Keeping Assist and Active Blind Spot Assist. 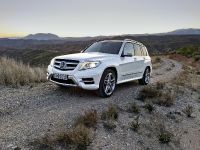 Of course, this new and modern 2012 GLK comes with wide range of engines, which provide driving comfort and attractive performance. 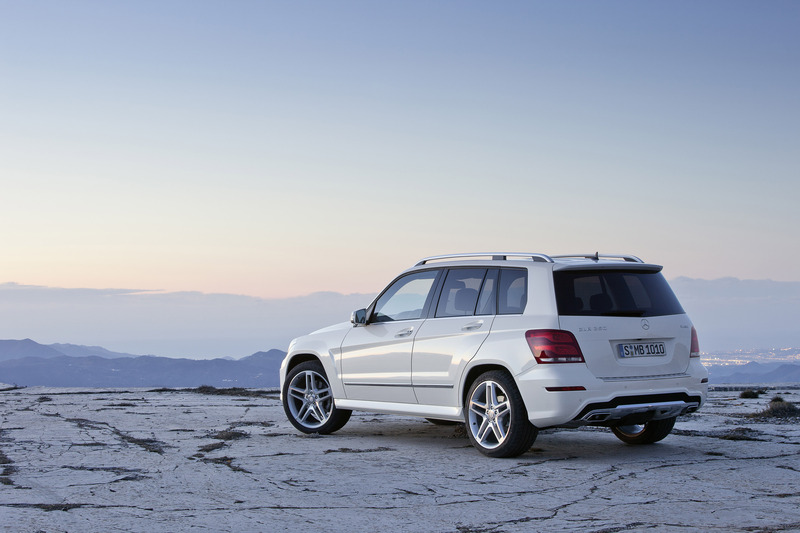 More importantly, they also low emissions and fuel consumption. 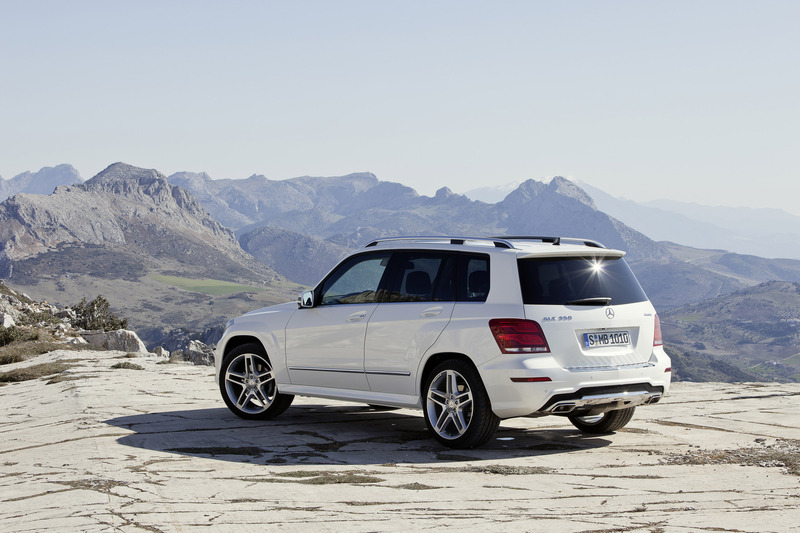 All in all there are six diesel model engines and a petrol one. 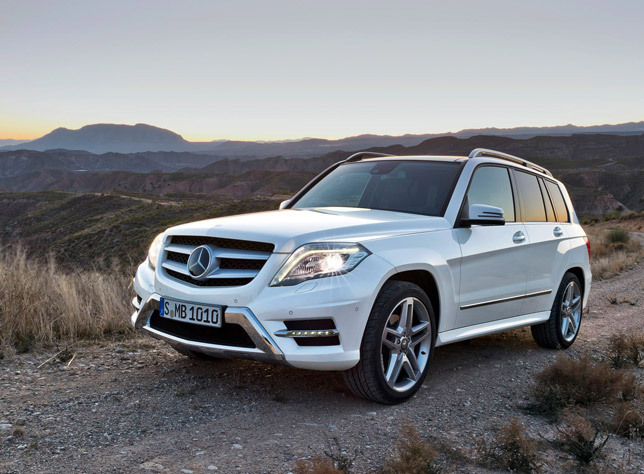 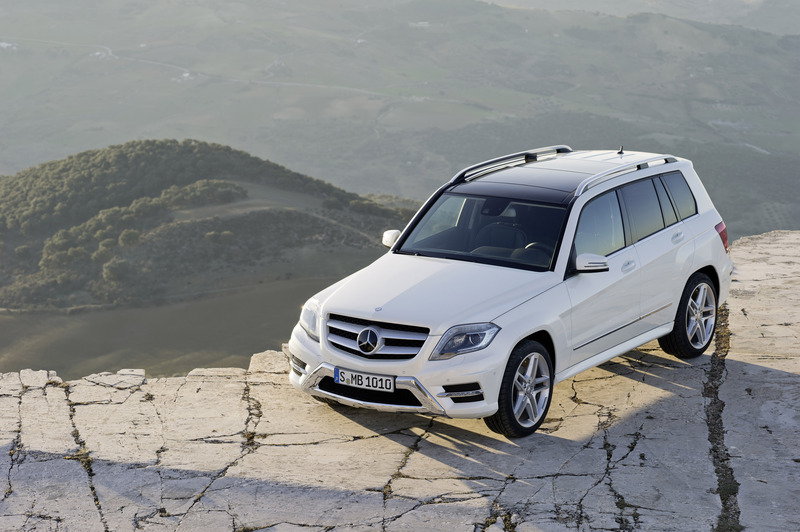 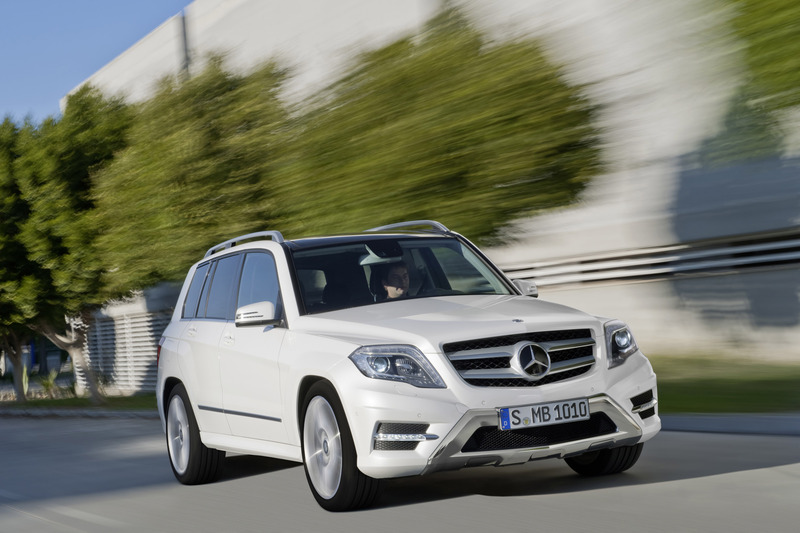 Furthermore, the GLK 250 BlueTEC 4MATIC boasts the most powerful four-cylinder diesel engine in the SUV world. 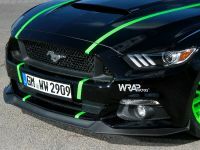 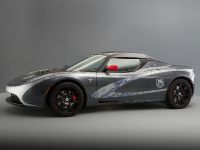 It has a direct-injection engine which is rated at 150 kW (204 hp) and generating 500 Nm (369 lb-ft) of torque from 2143 ccSome of the key merits are the engine's torquey character, its top speed and its flexibility. 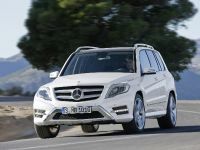 What needs to be highlighted here is the extremely low fuel consumption: the compression-ignition engine consumes 6.1 to 6.5 litres of diesel per 100 kilometres! 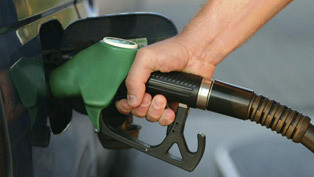 The CO2 emissions stand at 159-169 grams per kilometre. 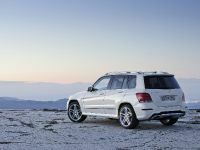 Similarly to the GLK 220 BlueTEC 4MATIC model, it also complies with the EU6 emissions standard and the US BIN 5 standard. 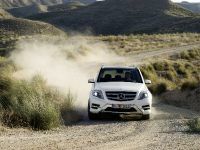 Next, the two rear-wheel drive models GLK 200 CDI BlueEFFICIENCY and GLK 220 CDI BlueEFFICIENCY with six-speed manual transmission are even more fuel-efficient! 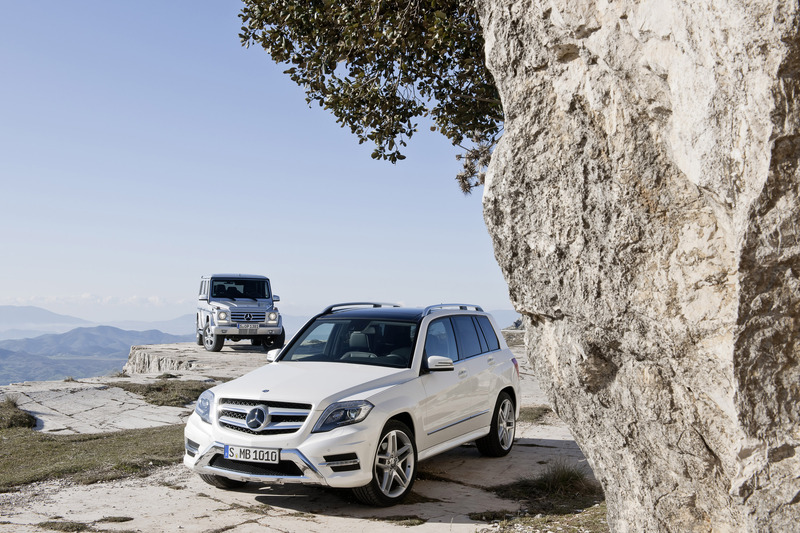 Both versions deliver 5.5 – 5.6 litres of diesel per hundred kilometres (143 - 147 g CO2/km) of fuel consumption. 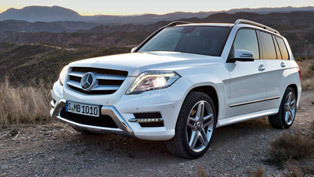 However, the top performer among the diesel versions is the GLK 350 CDI 4MATIC BlueEFFICIENCY: it has the whole 620 Nm (458 lb-ft) of torque which come from the V6 compression-ignition engine with exceptional power delivery from low revs. 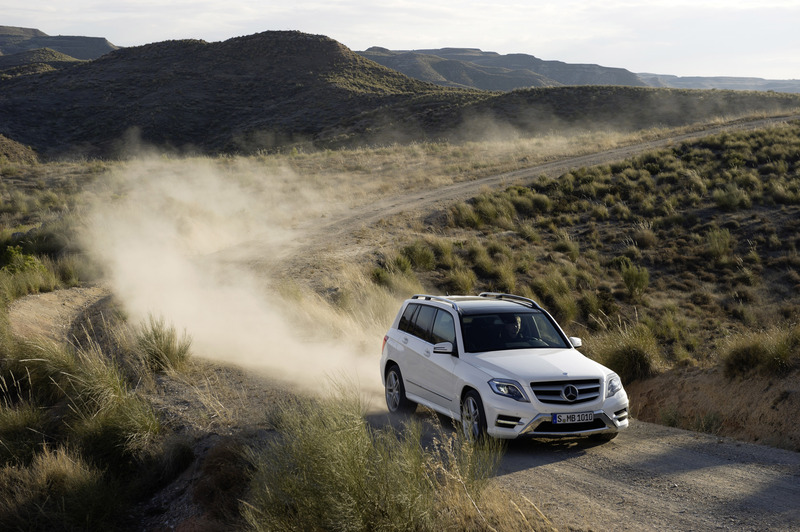 At the heart of the BlueDIRECT technology package is the third-generation spray-guided direct petrol engine with piezo injectors. 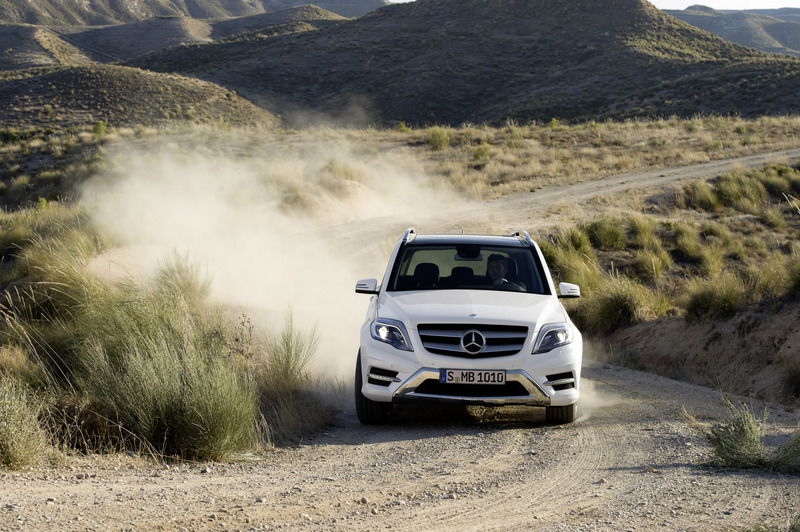 In combination with multi-spark ignition, this technology offers further potential for fuel savings. 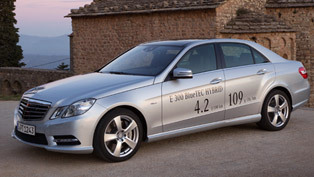 Not only this comprehensive package of BlueEFFICIENCY contributes for the low fuel consumption, but also the ECO start/stop function that comes as standard. 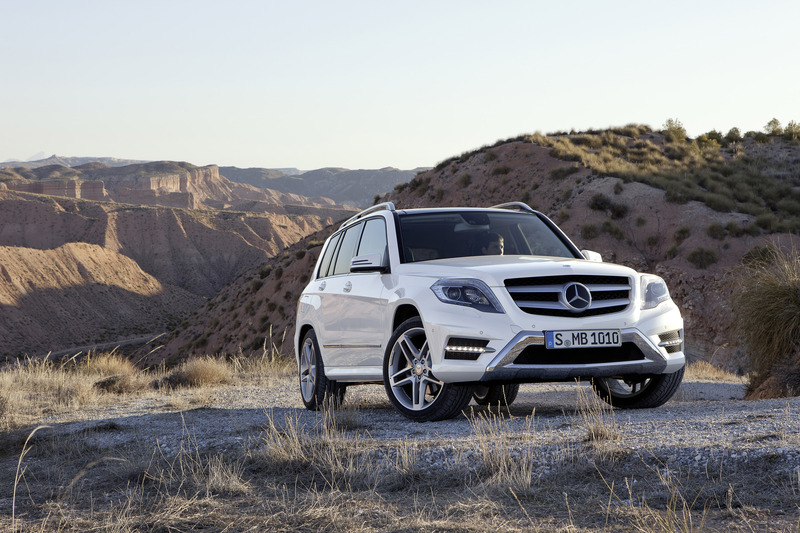 These measures include the seven-speed 7G-TRONIC PLUS automatic transmission, which comes as a standard on all 4MATIC models of the GLK. 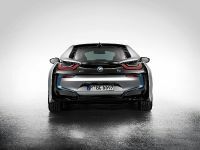 In addition, the standard-fit ECO display in the instrument cluster also enables the driver to check his driving style with regard to the prevailing fuel consumption level. 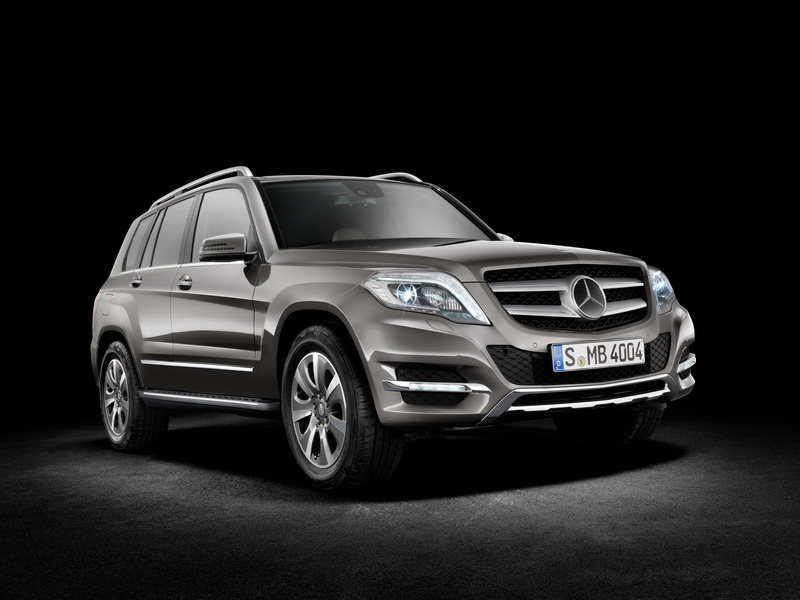 Next to be mentioned is the safety equipment featured in the GLK, which includes as a standard: airbags for driver and front passenger, kneebag for driver, pelvis bag for driver and front passenger, sidebag for driver and front passenger, windowbag for driver, front passenger and rear passengers; seat occupancy recognition for front passenger seat; crash-responsive pedals; ISOFIX child seat anchorage points in the rear and Top Tether attachment points on the rear of the rear seat backrest; 5 head restraints, height- and tilt-adjustable for driver, front passenger and in the rear, crash-responsive NECK-PRO head restraints for driver and front passenger; 3-point seat belts including mechanical belt height adjustment and belt force limiter for driver and front passenger plus automatic belt height adjustment on the outer rear seats, belt status display for rear seats in the instrument cluster; pedestrian protection with active bonnet. 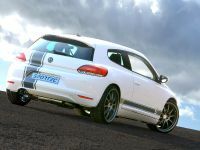 The active safety equipment package includes: ADAPTIVE BRAKE including Hill-Start Assist, HOLD function, brake drying in the wet and priming, AGILITY CONTROL suspension with selective damping system, Antilock Brake System (ABS), Acceleration Skid Control (ASR), Brake Assist (BAS), assisting the driver with additional brake power when emergency braking is detected, Direct-Steer system with speed-sensitive power assistance and variable steering ratio; STEER CONTROL, which supports the driver in unstable driving conditions by triggering an impulse which can be felt on the steering wheel, prompting countersteering by the driver in the correct direction; ESP® Electronic Stability Program including trailer stabilization; 4MATIC permanent all-wheel drive with 4ETS electronic traction system (except for GLK 200/220 CDI BlueEFFICIENCY); Tyre pressure loss warning. 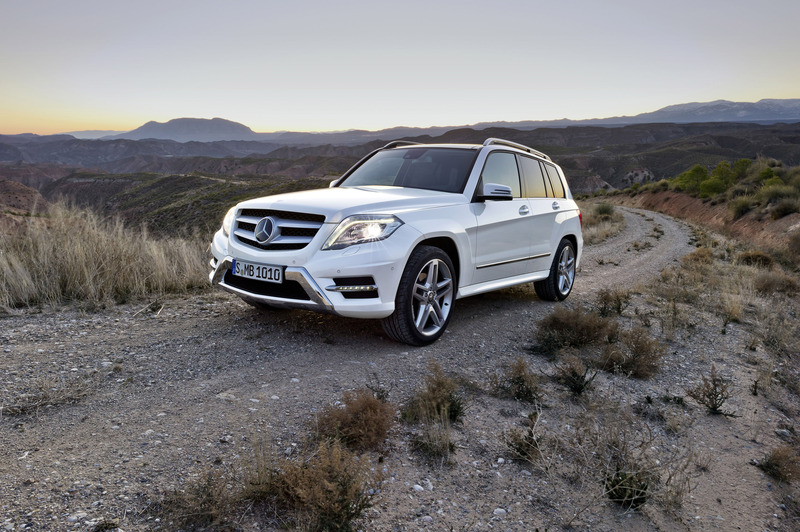 All seven models of the GLK come as standard with range of equipment designed to optimise safety, comfort and agility for the occupants and driver. 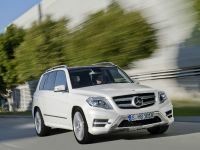 The standard features of the interior includes electrically adjustable front seats with height and backrest adjustment, a folding armrest for driver and front passenger with stowage compartment, a folding rear armrest with double cup holder and stowage compartment, THERMATIC 2-zone automatic climate control, 12 V sockets in the centre console and the luggage compartment, power windows all-round with one-touch control and automatic reversing function and a trip computer with current consumption indicator. 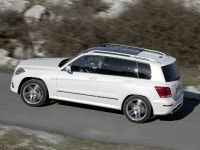 There are also available as a standard: rain sensor, Headlamp Assist, central locking with infrared radio remote control, cruise control with SPEEDTRONIC variable speed limiter (except for GLK 200/220 CDI BlueEFFICIENCY) and outside temperature indicator, green-tinted heat-insulating glass all-round, heated, electrically adjustable exterior mirrors in body colour with aspherically curved glass and integrated indicator and 43.2 cm (17-inch) 7-spoke light-alloy wheels. 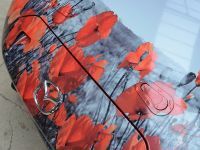 The individual options include broad choice of metallic and non-metallic paints and the vast range of interior options. 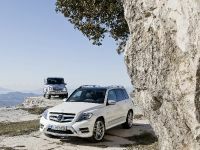 There is a choice of ten metallic and non-metallic paints and two special paint finishes in diamond white BRIGHT metallic and luzonite grey. 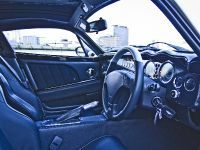 The interior can be further customized and appointed in a variety of styles ranging from sporty to classically elegant. The range of single-tone interior options includealpaca grey, various beige tones, black; in addition the range of the available two-tone design leather finishes are black/corteccia, black/porcelain and black/light brown. 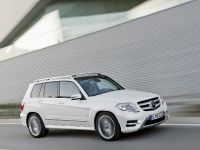 The 2012 Mercedes-Benz GLK is being offered in seven model versions with starting price of 36 235 Euros.